Among many topics, the panellists discussed various issues children encounter and how it can be tackled, and how youth can contribute towards social good either by volunteering or initiating change. 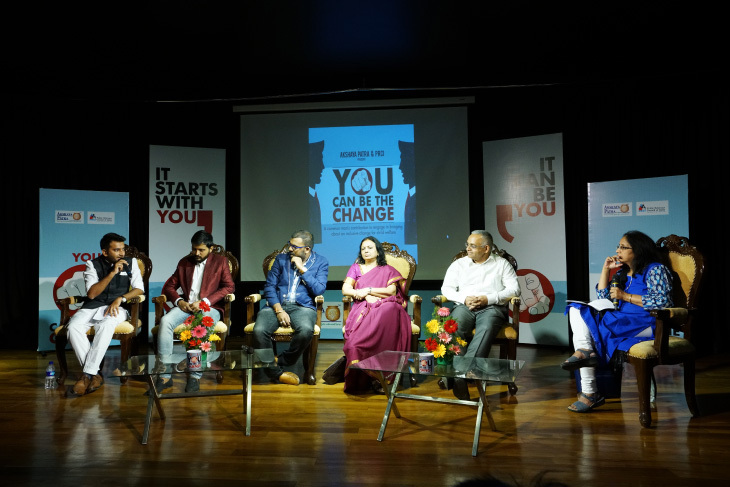 Amit Amarnath – Founder, Youth for Parivarthan; Vinay Bharadwaj – Banker & Designer; RJ Mayuraa Raghavendra – RJ, 92.7 BIG FM; Geetha Shankar – Director, PRCI and Shridhar Venkat – CEO, The Akshaya Patra Foundation, were the panellists. The panel was moderated by Meera Bharadwaj – Senior Journalist, The New Indian Express. Additionally, a documentary film by Akshaya Patra titled “The Passioneers” (people behind the scenes), was launched. The film shows 'behind the scene' operations in Akshaya Patra kitchens and what motivates our kitchen staff to take up this cause. The film, which will be made available to the public soon, is a tribute to all the people who work tirelessly in our kitchens.